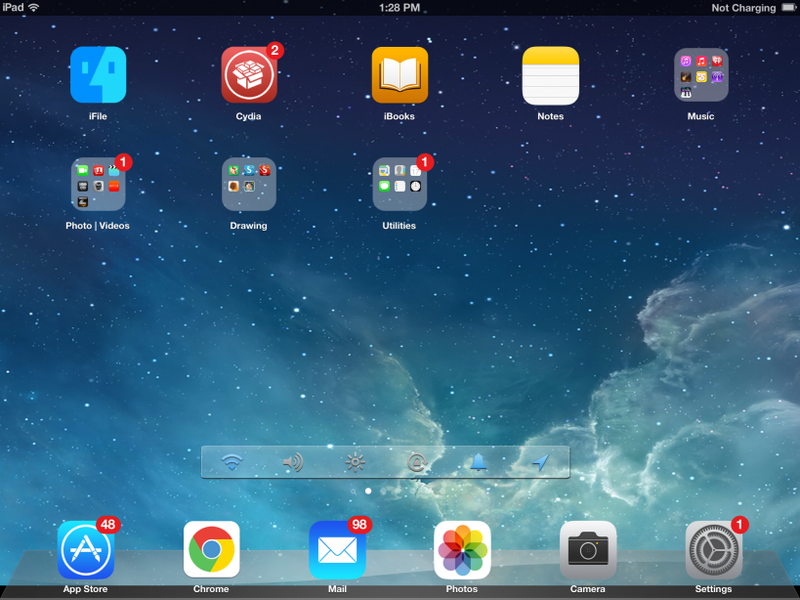 Looking to fully deck out your jailbroken iOS device? 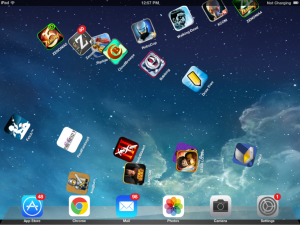 Here are some of the very best jailbreak tweaks and apps for iOS 6. 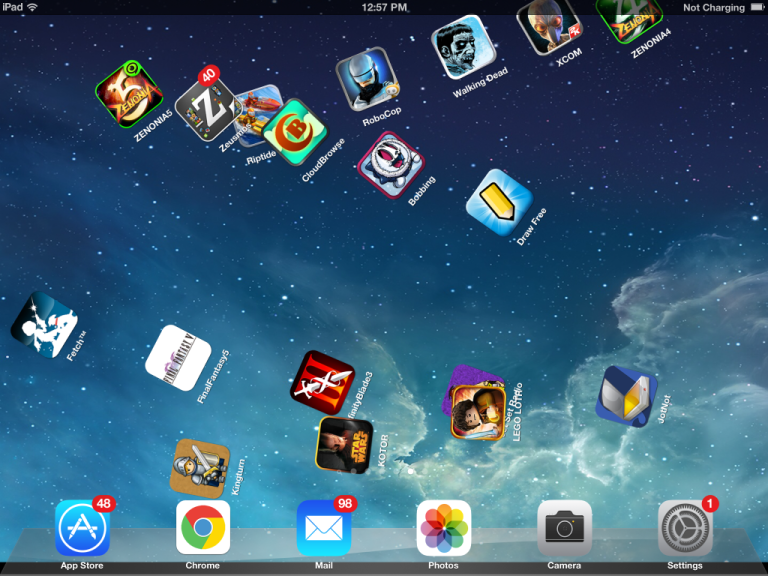 Jailbreak, that wonderful thing that allows us to deeper customize and fully utilize our iOS devices. Even though Apple worked hard to create a simple and intuitive system, with just the right amount of engineering for the iOS platform, many users are still left desiring for more. Thanks to developers in the hacking community, we can fully manage and tinker with our devices, without those heavy chains of restraint holding our device back from being so much more. The issue some can have with trying to set up a jailbroken device is the vast amount of options, so to help you make sure you’re getting the most out of your jailbreak, here’s a list of some of the best apps and tweaks available with the iOS 6 jailbreak. 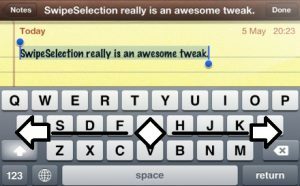 This is one those features that Apple really needs to just implement into their platform, and is a must for anyone with a jailbreak device who uses the touch screen to write. 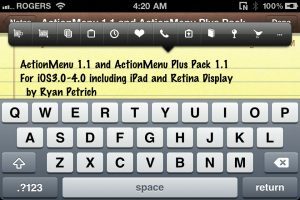 The Action Menu Plus Pack allows you to save favorites for words or lines of text, adds a history for clipboard, as well as other scrolling features. 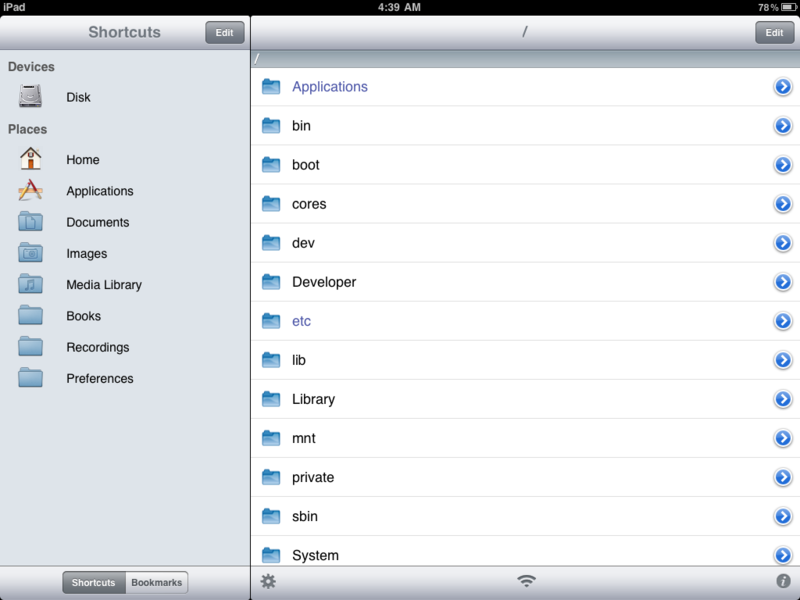 iFile gives users a file explorer to access all of the data on a iOS device. It works similarly to the Finder app on OS X or Explorer for Windows. You’re able to copy, cut, paste, and manage any files on the system. Considering many jailbreak apps and tweaks can require for file placement, this is a must have for jailbroken devices. 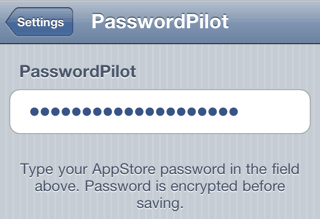 If you’re getting annoyed with having to enter your iTunes password every time you want to download a app from the App Store, then Password Pilot is just the thing for your password woes. You’re able to store your iTunes account password within the app, so that you won’t be prompted for it when downloading apps or purchasing in-app content. 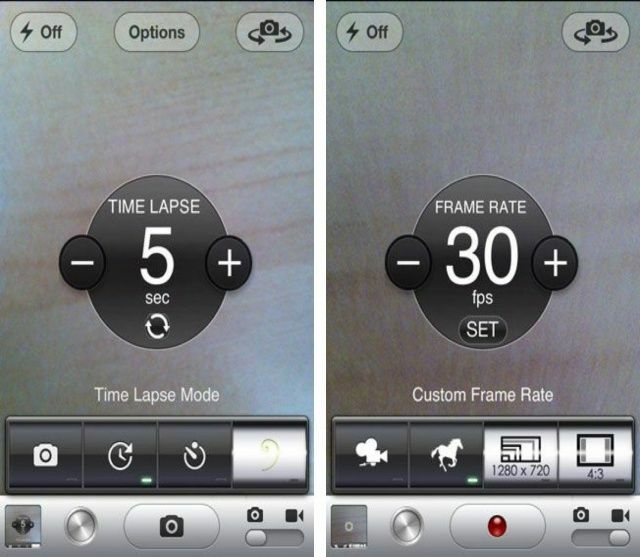 This app enables Retina graphics for iPhone Apps in 2x Mode on iPads that support Retina display. The picture and text quality is improved so much, you may even forget that you’re using a iPhone app on your iPad. Just note the significant difference in the screen shot above between qualities. 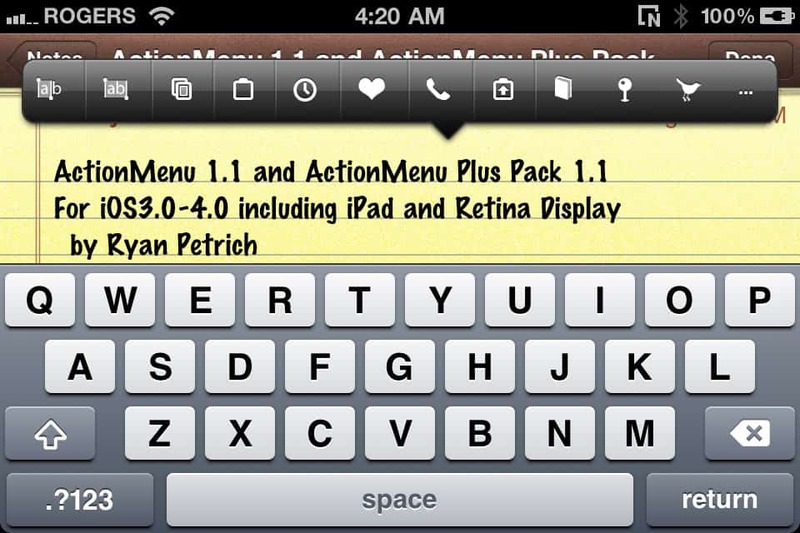 This is another tweak that is essential when it comes to working with text on a touch screen. 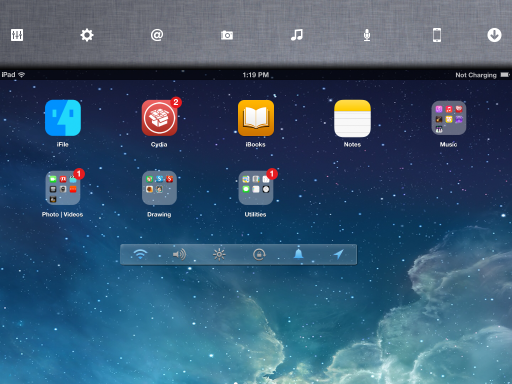 It allows for swiping across the keyboard for cursor placement. 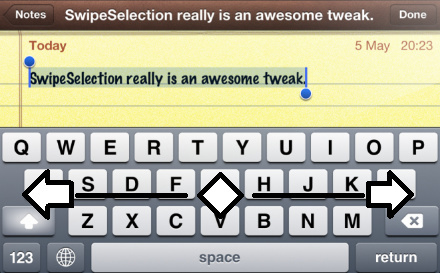 You can even hold down the shift key while swiping to select a group of text. 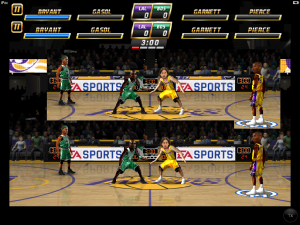 It makes for a world of difference copying text on a touch screen. 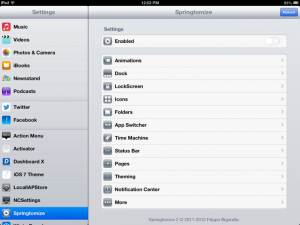 NCSettings brings several system toggle settings to the Notification Center such as – toggles for WiFi, Volume, Brightness, Orientation Lock, Location Services, Bluetooth, Respring, and allows for further customization. Now iOS 7 does resolve this issue by allowing users to easily toggle a few of these, but NCSettings still offers way more options than what is offered in iOS 7. You can also use NCSettings with other jailbreak apps like Dashboard X, which allows you to take it off the Notification Center and place it where ever you want. 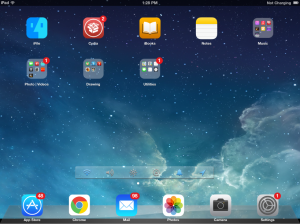 This jailbreak tweak offers a ton of customization options for your iOS device. From selecting font, font size, icon size, how many icons fit on a page, dock, just about anything that comes stock on the device has a customize option here. This is one of my favorite tweaks for iOS jailbreak, it allows for over 20 different types of transitions while flipping through apps on your device. Making your icons do barrel roles, swirl in and out Pac Man style, or even less subtle fading transitions. There’s also the option to have random transitions on, allowing for a fun surprise each time you flip through your app list. 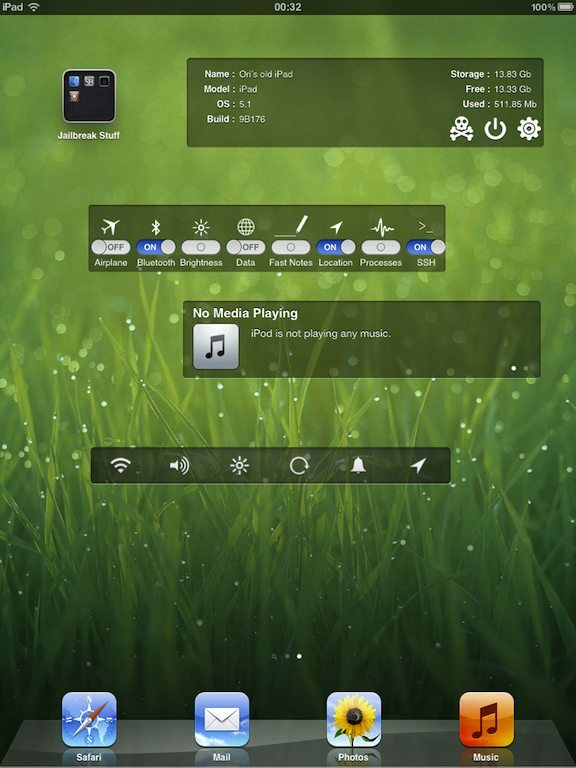 Winterboard allows for the use of themes on iOS. There are a some built in themes with the app itself, but most of the better themes are available for download online or within the Winterboard app. As you can see, I’m currently using a iOS 7 theme with Winterboard, which you’ve probably noticed in some of the other screen shots. 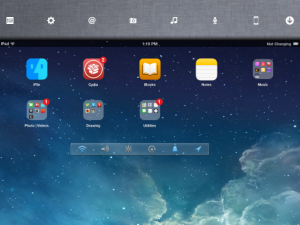 Dashboard X is a essential piece to adding some special flare to your home screen. It allows for the use of widgets on your iOS device, letting you place a clock, puzzle game, twitter feed, or even the NCSettings bar right on your home screen. It’s a great way to add some individuality to your device. From a quality standpoint, Apple devices have always offered a a high-end camera, but they always seemed to be lacking in the features within the stock app. Camera Tweaks adds tons of useful options to the boring stock camera app such as, Time Lapse mode, Shutter Time, Composition Overlays, Resolution, Frame Rate, and plenty of other options that you can tinker with to capture the perfect picture. Deck adds a side or top bar to your iOS device that allows for quick and easy access to certain features like, Camera, Siri, Music, etc. 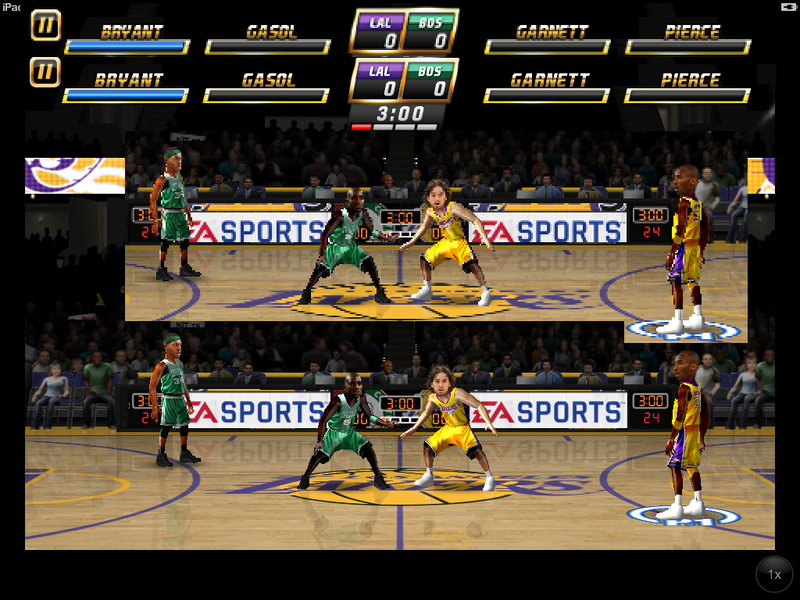 You can think of it as a more robust customizable play menu for your device. Deck can be customized to display on the sides or top of your screen, it also allows you to pick what gestures activate deck. Why there isn’t a restart option included in iOS is beyond me, but thankfully with the GPower Power you can not only have the option to power off, but restart and respring as well when holding the power/sleep button on your device. So there you have it, some of the top tweaks for iOS 6. If you know of any great jailbreak apps or tweaks that aren’t on the list be sure to post them.